The results of the MWPBA solo contests at the Central Kentucky Celtic Festival and Highland Games in Eminence, KY on Saturday September 15, 2018 are now available. Congratulations to all the prize winners and contestants for coming out to the event! The Order of Play for soloists has been determined for the Central Kentucky Celtic Festival and Highland Games on September 15, 2018, in Eminence, KY. Please note that there are no band contests taking place at this event this year. This information is current as of 12 September 2018. The Order of Play for both bands and soloists has been determined for the Columbus Scottish Festival on 8 September, 2018 held in Columbus, IN. Please select the appropriate link above. This information is current as of 6 September 2018. The results of the MWPBA band and solo contests at the 2018 Wisconsin Highland Games at Waukesha, WI on Saturday September 1 are now available (band results, solo results). Thank you to all the soloists, judges, and spectators/supporters who endured the rain in the morning! Recordings of all band performance are now available on YouTube. The Order of Play for both bands and soloists has been determined for the Mid America Pipe Band Championships that take place at the Wisconsin Highland Games in Waukesha, Wisconsin on September 1, 2018 . Please select the appropriate link. This information is also available by subscribing to the MWPBA e-mail distribution list. Simply click on the link under the "Main Menu" on the left-hand side of the page, and follow the instructions to join the e-mail list. This information is current as of 25 August 2018. 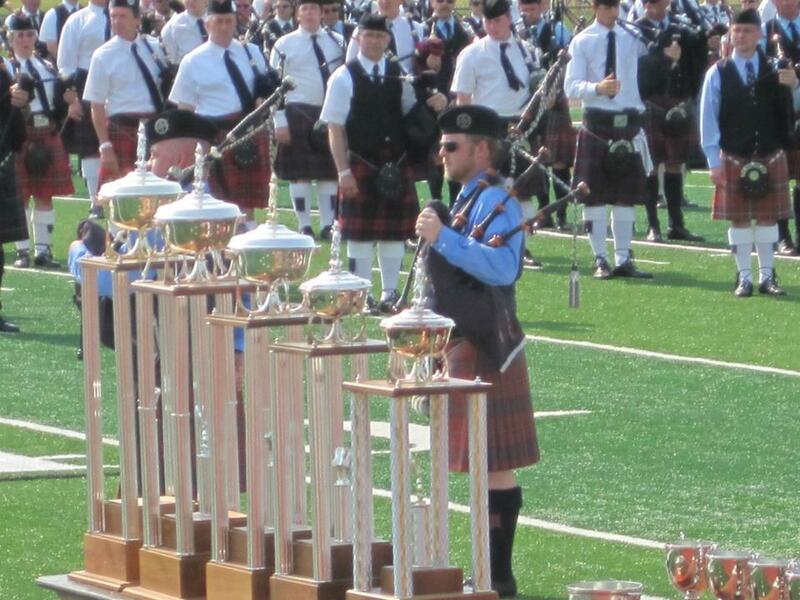 The results of the MWPBA band and solo contests at the 2018 Minnesota Highland Games at Eagan, MN on Saturday, July 21 are now available (band results, solo results).